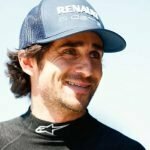 Son of four-time world champion Alain, who is co-founder of the e.dams team, Nicolas Prost showed that he is not just in the team because of his name. He took pole position for the first ever ePrix in Beijing, won on the streets of Miami, and was the only driver to score points on all eleven race days. However, a lack of consistency – and his much-talked about collision with Nick Heidfeld at the end of that Beijing race – prevented Prost from challenging for the title. Nevertheless, he went on to improve on his performance shown in the first season and has been a constant point-scorer ever since. Despite his heritage, Nicolas Prost started racing later than almost all of his peers, at the age of 22 in Formula Campus France. In the early years of his car racing career, he would make up for lost time – competing in a diverse range of championships including Formula Renault 3.5, Formula Renault 2.0, French GT and Spanish Formula 3. After 3rd in Spanish F3 in 2007, he would take the Euroseries 3000 championship the following year, while in 2009 he joined Speedy Racing – now Rebellion Racing – in the Le Mans Series. He has stayed with the team ever since, and is now team-mates with fellow Formula E racers Nick Heidfeld and Daniel Abt in the WEC. Prost is also a two-time Andros Trophy Électrique ice-racing champion. The Frenchman has also taken part in the prestigious 24 Hours of Le Mans several times ever since 2007, with a class victory and a fourth place overall in 2014 when he shared his Rebellion R-One with fellow Formula E driver Nick Heidfeld and Swiss driver Matthias Beche. Furthermore, he was able to secure a strong third place with Rebellion Racing’s Lola B12/60 in Sebring when he shared his car with Heidfeld and Neel Jani.